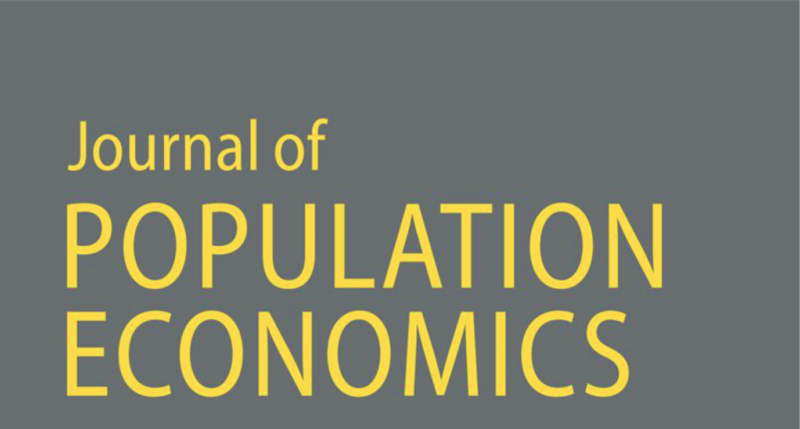 The Journal of Population Economics in an international quarterly that publishes original theoretical and applied research in all areas of population economics. The journal is published in collaboration with POP at UNU-MERIT, the Global Labor Organization (GLO) and the European Society for Population Economics (ESPE). The Journal is published by Springer-Verlag. The 2018 Editor-in-Chief Report can be accessed here (the Editor-in-Chief Report of 2017 is still available here). Further Ranking details are available here and will be updated in July/August of 2018 to reflect the past year. Subscribe to the Journal’s Content Alert here. Congratulations to Yoo-Mi Chin& Nicholas Wilson, winners of the 2019 Kuznets Prize for their article “Disease risk and fertility: evidence from the HIV/AIDS pandemic” (31(2): pp. 429-451)! Happy 2019! Celebrate the new year with the Journal of Population Economics Volume 32, issue 1, which is now available online. The latest issue of the Journal is available now. Read Volume 31 issue 4 here! Issue 3, volume 31 is available online!